A self-respecting die-hard Batman fan (like us here at The Daily Zombies)? Brace yourself for the ultimate quest to track down the evolution of the iconic Batman logo across the decades courtesy of artist Cathryn Laver from Calm the Ham. 2014 marks the 75th anniversary of arguably the biggest comic book icon, Batman. It has been a third of a century and being self-respecting fans of the Caped Crusader in his numerous iterations across pop culture platforms, we all know that being the bona fide pop culture zeitgeist, Batman has evolved across the decades in drastically varying ways more so than any other superheroes (even his best friend and equal in iconic status, Superman). But have you took note of the ever-iconic Batman logo? According to Cathryn Laver from Calm the Ham, there have been at least thirty significant changes that the logo went through since its inception in 1939. 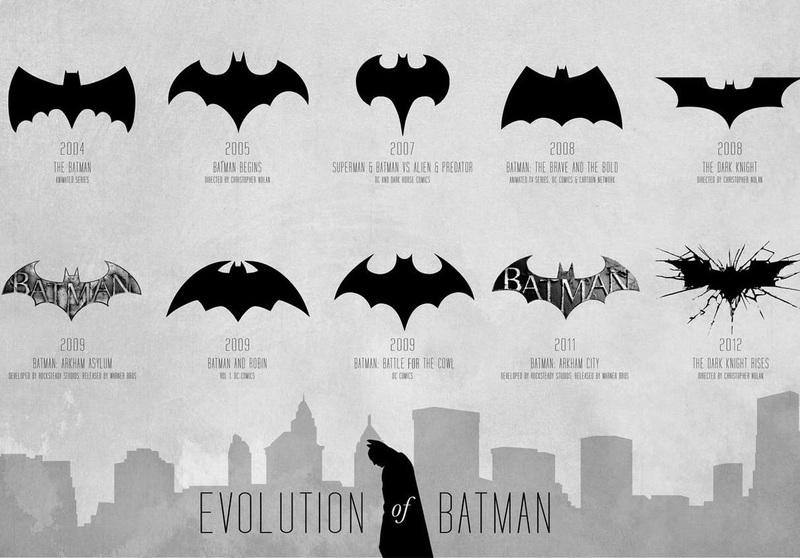 In an awesome infographic conjured by Laver, each landmark iterations of the Caped Crusader’s iconic logo are chronicled. Drawing inspiration from a YouTube video clip, every iterations earmarking the evolution of the Batman himself from his original appearance in the comic book in 1939, deliriously campy TV ride thanks to Adam West, Frank Miller's dark masterpiece in the 90s' The Dark Knight Returns, Tim Burton's game-changing cinematic take, to Christopher Nolan's epic Dark Knight trilogy are featured. The luscious print standing at 18" x 24", 12" x 18", is available at $42 right here. For now, hit the jump and click on the image to view it in its hi-res glory. As a bonus feature, here's the YouTube video clip that inspired the piece.